Home | PMSL | Industrial Relations Advisory: What is a Human Resources Audit? Industrial Relations Advisory: What is a Human Resources Audit? Recently a conciliation judgement recommended a Human Resources Audit which the HR Department of the company concerned had never heard of. A Human Resources Audit is a systematic method of reviewing existing Human Resource policies, procedures, documentation and systems to determine the “health” of the Human Resource function. This is often done by someone outside the company to make sure it is honest and objective. It focuses on the important aspects of the function and on the way it is managed, and identifies areas of strength and areas that need improvement as well as points to ways to ensure compliance with rules, regulation and legislation. Compliance with Laws, Regulations and Industrial Court Awards. A good Audit will reveal problem areas and provide data from which to make recommendations and suggestions for improving the areas of weakness identified. 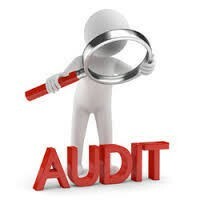 The benefits of conducting an Audit include ensuring compliance with policies, procedures, rules, regulations and legislation and to ensure that these are being consistently applied across the organization; it helps to instill a sense of confidence and trust in the honesty of the Human Resource function and to enhance the Department’s image and, importantly, to establish a baseline for improving the HR function as a whole.